We are proud to have the largest experienced team of installers in the Ottawa-Gatineau region. We are proud of the long-standing relationships we have built. 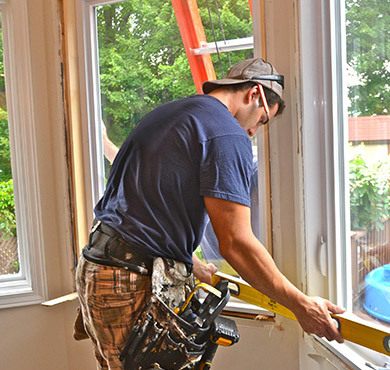 Once you’ve found the perfect window or door, it’s time to decide if you want to install it yourself or hire a professional. Proper installation is critical to ensuring our products perform efficiently and last as long as possible. We are proud to have the largest experienced team of installers in the Ottawa-Gatineau region. Guitard is an honest Window and Door Replacement Company. Family owned for over 34 years, it is part of the Verdun Group qui locally serviced over 50,000 installations in the region, you know you can trust us.